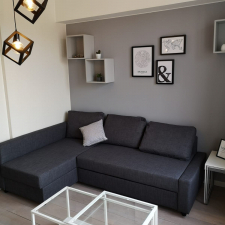 The apartment is located in the very nice area of Etangs d’Ixelles, rue Macau. Public transport nearly (2min). Price: 810€/month Tv, internet, heating, gaz, electricity, and water included.